73523941 –Interpersonal Conflict explains the key dynamics of personal conflicts that we all face. 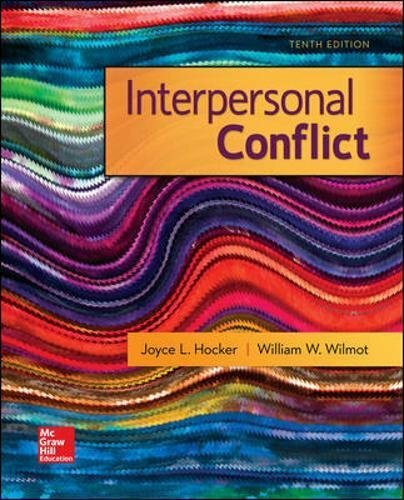 Written for courses such as Communication and Conflict, Interpersonal Conflict, Conflict Management, Conflict and Negotiation, and Conflict in Personal Relationships, this textbook examines the central principles of effective conflict management in a wide variety of contexts–whether at home or on the job. Its combination of up-to-date research and examples gives students a theoretical and practical foundation in conflict management.